Whether it’s brand new or if you’ve had it for a while is subordinate. You probably have already found a name. If not then this is your first step. Get a name and logo. It should be the red thread for you when you start building on your website. The logo is essential when you think about your visibility. Both online but probably also offline. Even if you are completely blank for ideas here, I have a helpful tool that can guide you in the right direction. The next thing you do is buy the name if it is not busy. I prefer that there is a clear red thread throughout the company. Done by logos associated with the name. Then you also have the opportunity to make other effects that contain your logo here I think of T-shirt and business cards. There can also be streams for cars or signs for the facade. Your domain name should also be a part of the red thread. If you manage it, you have an intense fire that you can develop on. One good advice is that you have to make money so do not spend too much time on this part of creating a business. There are, as mentioned, many types of hotels where you can buy your site and the name of the place. But it’s worth sacrificing what’s going on. I use a host for all my pages. It meets all the criteria I’ve set up to ensure my pages and those of my clients who want me to be a webmaster and host their pages. Now I’m Danish, and my host is not, so I buy the name at GoDaddy and direct it to the place where I have parked the pages. Usually, I would always recommend that you have full control of your page. That is, you pay the bills for name and hotel. But some would like them to not think about that part at all. But it is a matter of trust. Because there are unfortunately a lot of small companies that do not have clean flour in the bag. It is not unique that they take you as a hostage and require payment that has not. Unfortunately, I’m talking about the experience. I had a page that had a deal that made me pay too much. How do you create it from scratch? 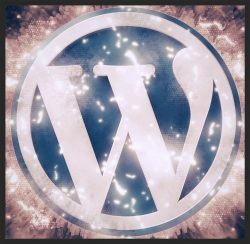 I use WordPress which is probably one of the most common platforms to build a website. Here is a myriad of different free themes that you can use to build the page. When we speak a local business, I will build the most pages to start. If it is a local service, then I would think that most small businesses can describe the primary function they are dealing. Here are also certain other things that you are expert in as a business owner. Remember, not everyone gets your customers by meeting your website once. They can use what you offer. Help them here, so you have a much higher chance that they will return to you. Ok, what kind of pages. Yes, make a page about you and the company. For example, if you have someone in your immediate circle, you can in some cases set them up like a board. The page about what you have to offer. Yes, create a page with your primary service. Now I do not want to go into depth on this topic, but that’s what you primarily offer to your customers. Get yourself a contact form page. Here you can write some of the most common questions that your customers may want to know more. It promotes their desire to use you. Should be created if you link away from your page. It should preferably a little away. It is not relevant to what you offer. It’s a standard page that you can get a copy of from me if you need it. Just ask for it, and I will send you one that you can edit. I would say that you have to create somewhere between 5 and ten pages. Here you can do with each of the other dimensions you have in your business. An example could be cleaning service. If that’s, you offer. Then a page about stairwell could be another that could deal with private cleaning. A third could deal with a third service and so on. Hope you can see the idea here. What is important is to add your name to your address and phone number on all pages. Or in a prominent place wherever your users are on the page. Here you can link to your contact form. But the more pages you can write, the more you fill it out, the higher your chance of being found. The reason why it’s important to have your location is that you can found. Suppose you’re the only local cleaning company. With your name, address and phone in your area, search engines will reward it. You may want to take advantage of it. If so your page has good and original images of your bike; then you have another factor that can give it a big boost. Of course, you should also create lots of text for each of your pages. Text that can help to value your customers. Tells readers more about every part of your business. The more, the better. If you also manage to find some useful and relevant keywords that describe what each page is about and have relatively low competition. Then you have the basis of the ingredient in what of a website for a local business. Many times it may be worth having a robust front page that has a picture gallery that links to each of your pages. You can very quickly create a robust front page in WordPress. There are many of the themes that are very well suited to it. I prefer to use the free themes myself. However, you will find a Pro theme that you feel fit just for your needs, yes, buy it. But it will be a little strange if you can not find one of the next 3000 for free. Place a blogroll so you can add news. Then it’s another huge advantage. For the more context, the page gets better. But to a local page, I’d rather not have a blogroll as a cover page. But it may be what makes a difference to your competitors. Ad Keyword in the headlines. You can do it by yourself by finding the video on, for example, youtube. Before I started, I saw some videos and learned some of the things that needed to build a website. But you can save yourself a lot of time by getting an overall package that includes both teaching step by step. Name service and a thoroughly safe host that has everything you need so your site always works and is impossible to ruin for outside. You will not even be able to destroy it. There is backup more than once a day. Something you usually have to buy extra many other places. Now, this is about local marketing. The training I show you contain the entire package. Yes, you will eventually be trained to develop both your pages. It’s not a hundred meters run, but a long-term investment in yourself and your business. I have only mentioned a fraction here. But having full control over this part of your business makes you become an authority in your industry. Is it just a page for your local business. Then you can put it up, fully own it at a meager price. Something I have not mentioned is that you can be allowed to test the program freely and freely. Yes, you even get a website. You can use it to get started. No matter what you are working. Then we write the 2100 century all are visible online. As said, test it here and without giving away your account information. Have your business advice to be free. Do not wait for the shortcut. Smooth your sleeves and let’s put your side together. Want to hear more about what to do? Then just write to me in the comments box below. Hi Billy! I’m glad you have as much joy of WA as I have. You can use what you learn here for much more than affiliate marketing. Believe me there are a lot of people in your local market who can enjoy the skills you get when you follow the training there.